Contributor Casha Doemland sits down with the founder of The Hell Yeah Group, a financial firm that provides tools and guidance to help creatives manage their businesses. Paco de Leon wants her clients to feel as comfortable giving her a fist pump as shaking her hand. As a financial planner, she recognizes that money matters can be uncharted and awkward territory for creatives, which is why her company, The Hell Yeah Group, tries to take the numb out of numbers. When you schedule a one-on-one meeting with her, you have to prepare to go deep — Paco&apos;s main rule of finance is to know thyself. "Start by understanding who you are, how your history and upbringing have influenced your ideas about money and understand what you value," she says. Once you accomplish that, it&apos;s all uphill from there. For those not ready to dive in headfirst, The Hell Yeah Group&apos;s website offers a series of resources, like Paco&apos;s weekly "Nerdletter," a newsletter sharing the FAQs of finances. Her eBook, So You Want to Start a Business, is a tactical manual to getting a company up and running. 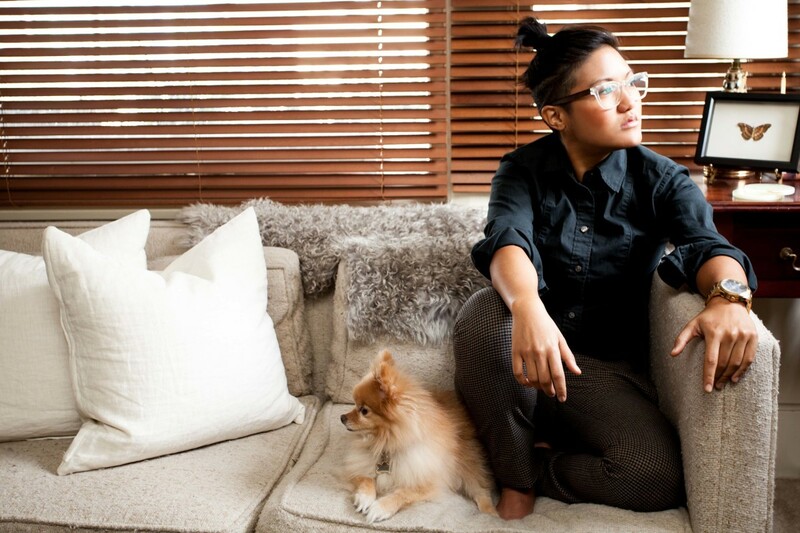 She also hosts "Get Your Sh*t Together: Finance 101 for Creatives" workshops around LA. But be warned, her talks have been known to spark intense amounts of creativity and rock people&apos;s worlds. What inspired you to begin The Hell Yeah Group, and what are some of your plans for the future? I noticed the creative people in my life didn&apos;t have anyone in the business and financial worlds who were willing and able to help them or who were good at cutting through all the crap to give them the information they needed. Or they didn&apos;t feel comfortable working with the options available to them. You know when you&apos;re at a bar or restaurant, and you can tell someone is on an awkward Tinder date? That&apos;s what I was observing when I watched my colleagues who were "suits" trying to interact with creative business owners. It&apos;s hilariously painful. So, The Hell Yeah Group is a response to a gap in the market, and it&apos;s an experiment to see if it is possible to exist within the industry, applying a different business model. As for the future, I&apos;m working on platforms to reach a larger audience: an illustrated book and digital products to help educate as many people as I can. I&apos;m also focusing on expanding the bookkeeping side of my business — Hell Yeah, Bookkeeping. We hear your that your "Finance 101 for Creatives" talk is starting to tour southern California and branching out into international waters. Tell us more! The workshop is so fun. I&apos;ve worked really hard at making really boring material really fun and engaging. In the workshop, I break down finance to the granular level and outline 10 finance tips. The 10 tips are the starting point for understanding what the world of finance encompasses. Once you understand the lay of the land, then you can prioritize what&apos;s important, assess where you&apos;re at and, hopefully, ultimately stop freaking out and handle what needs to be handled with a clear mind. Last year I was invited to speak for a travel company that had a retreat in Bali. I spoke to an international crowd out there, which was dope. This year I&apos;m speaking at Engage Summit&apos;s summer session in the Cayman Islands. Is there one finance tool you would recommend every freelancer and entrepreneur invest in? Invest the time and focus your energy on positioning: what are you selling, who are you selling it to and can they afford to buy it? If you have enough runway, then you might eventually figure this out, but if you don&apos;t, you need to dial this in so you can keep your business running. Invest in understanding how much money you need to make and break down how much you need to work in order to earn it. Is it realistic? If you don&apos;t have any problems earning money, then you should invest in understanding how the money is flowing through the business — get a bookkeeper, get an accountant. Let them help you understand the numbers so you can focus on execution, creation, sales and the customer experience. If you&apos;re going into a partnership, get good legal to help you with your agreement between all the partners. Don&apos;t be cheap, otherwise you may end up being pennywise and dollar foolish. Outside of being a finance guru for creatives, you are also co-founder of a nonprofit, Allies in Arts. What drew you to the nonprofit world and Allies in Arts in particular? My nonprofit work is totally selfish. I value what artists put into the world. I value their unique expression of the human experience. I want to be a part of something bigger than my own ideas. All of us have to pass our time doing something; for now, being of service to a community seems like the path to a meaningful life. What motivates you in the morning? Do you have a morning routine? I have a lot of responsibility given the nature of my work, so that&apos;s pretty motivating. Also that feeling that there isn&apos;t enough time to do all the things I want to do. I think about how in 10 years, if all goes as planned, I&apos;m halfway done with my life, so, mortality is pretty motivating. I meditate almost every morning, make my coffee, eat breakfast, read for a bit, walk my adorable little Pomeranian and water my garden. As of late, I&apos;ve been planning my workday using the GutenTag Method. I spoke at my friend Dane Sanders&apos; conference called GO SUMMIT and he gave [the GutenTag day planners] away as gifts. I really enjoy the analog-ness of it. I also like that I can&apos;t be overly ambitious about what I can actually get done in a day. Unlearning all of the unhelpful stuff that I picked up through the institutions of school and corporate life. Learning how to manage my finite resources: time and energy. This has been a process that I&apos;m constantly refining. Lately my mantra has been, "You only have this moment." One thing I&apos;ve noticed about people who are operating at a high level of productivity [is that] they don&apos;t really talk about how stressful it can be on your body, mind, spirit and relationships. It&apos;s easy to get overwhelmed when you feel like your focus is being pulled in too many directions. When I can&apos;t focus because of this pull, I tell myself, "You only have this moment," and it helps anchor me so that when I&apos;m with my friends, I don&apos;t get distracted with work and when I&apos;m working on one project, I don&apos;t stress about all the other things I have to do. If there was one thing you could have done differently while starting your business, what would it be and why? My impatience says I wish I could&apos;ve started sooner, but I needed to learn everything — I couldn&apos;t rush that process. So, I would not have done anything different; I trust the process.